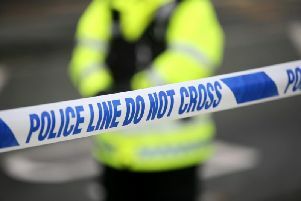 Punishment by arrangement attacks have taken place in Carrickfergus and Larne, according to the PSNI. Police drew attention to the issue as part of a wider campaign tackling paramilitary-style violence. Graphic videos, aimed at highlighting what so-called paramilitaries offer communities, have been aired on TV and social media in recent days. “In the last five years, 417 people within our society have been shot or beaten by these thugs who seek to control communities by whatever means possible. “Paramilitaries also force people out of their homes, 286 people can attest to that in the last year alone.